THIS EXHIBITION IS ACCOMPANIED BY A VIDEO INTERVIEW WITH THE ARTIST: Michael Hafftka on the shadow of the Holocaust. On 9-10 November 1938, the Nazis began their systematic persecution of Jews throughout Germany in what became known as Kristallnacht (the Night of Broken Glass). Jewish shops and synagogues were destroyed; some were burnt to the ground. The pogrom was supported by local authorities and civilians. Less than one year later, World War II broke out. The Nazis intensified their efforts to eradicate the Jews, homosexuals, the disabled and others who they believed were unworthy of life. The consequences were catastrophic and are with us today. The history of the Holocaust is often told in numbers: the total death toll; how many Jews were killed as the percentage of the total and as a percentage of the entire European Jewish population; the numbers tattooed onto the arms of prisoners; and the number of concentration and death camps. The numbers are overwhelming. However, we need to remember that behind the horrifying statistics are real families whose histories were brutally ruptured or ended at the hands of the Nazis and their collaborators, who considered themselves to be decent, patriotic citizens. Like everyone, these Jewish families had expectations of a future, and hopes for children that can now never be born. By bracketing the Holocaust within the war years, the atrocities are contained to an historical event now far removed from our present lives. But for many it is not. The survivors and their descendants experience ongoing and intergenerational trauma associated not just with the loss of loved ones, but with the many questions that cannot be answered, such as: Why us? Why did I survive? 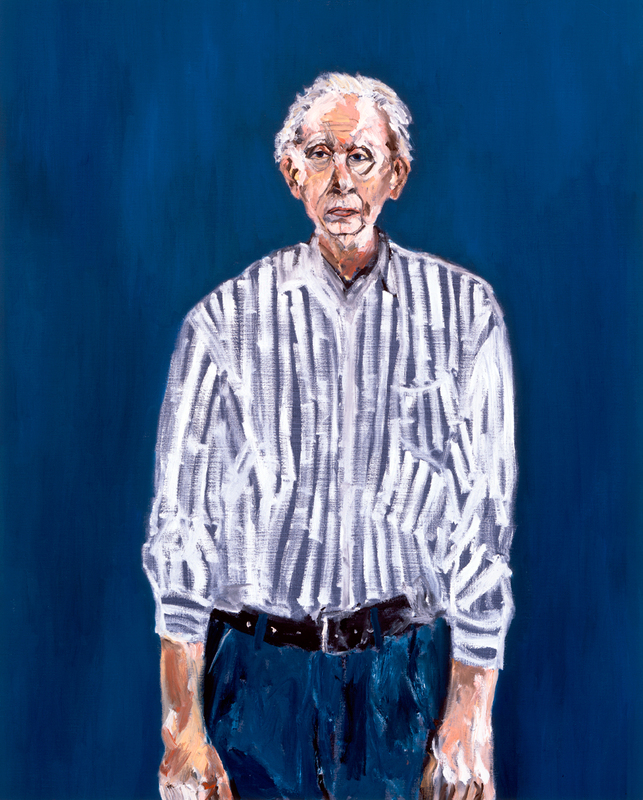 Michael Hafftka’s paintings about the Holocaust are confronting and deeply moving; they are inspired by his own Polish-Hungarian Jewish family’s tragic fate. His entire extended family bar three relatives on his father's side and his maternal grandmother were killed. He describes his late parents as very damaged people who never spoke of their experiences; theirs was a deeply unhappy life in which optimism was impossible. It was under this shadow of the Holocaust that Hafftka grew up and it has shaped his world view. Through his art, Hafftka feels a strong responsibility to remember and speak for not only his own family, but for all of those who suffered and died, and for those who carry the burden of that trauma into the present. Hafftka often attributes the course of his life to chance, in the same sense that luck spared his parents and other survivors. In the face of such a concerted and systematic effort to eradicate whole groups of people for no other reason than hatred, survival was down to nothing other than chance. There was no way of being able to control or influence one’s fate, as it was in the hands of a brutal regime hell-bent on white supremacy. It is this theme that informs his major 1986 painting The Selecting Hand. It refers to the selection process used by the Nazis to identify those for deportation to the death camps, and those who were herded off to forced labour camps. Those who appeared strong enough to work were kept aside, while the others were earmarked for the gas chambers. Families were permanently separated; no-one was spared, not even children. The singularity of the title The Selecting Hand alludes to a god-like presence that rules from above, detached from direct participation and therefore unimpeachable. The figures here are entirely suggestive, dressed as they are in ripped garments and tormented skin, ambiguous as fleeing birds. The pigments that created such chalk-white bones are alive, angry, and suffering. The paint spins away in pain from the force of the brush. If words were similarly consumed we would hear their meanings crackling, and the ink would arrive on the page in burnt parts and brown sheaves, so that it spoke "s cr ice" instead of "sacrifice". Imagine the surprise of paleological man when he first saw his footprint drying in the mud or felt his hand pressed upon a wet cave wall, and recognized himself in the impress. In that accidental way, the history of the hand would begin. Why has mankind come at last to this altar in Hell? to escape from all concepts of self and survival, to pick and choose victims, to wash hands and reject issues, to have a touch of death in a ditch, to fly away in a scream of cloud. At the crux of Hafftka’s work is an emotional response to the legacy he was born in to. 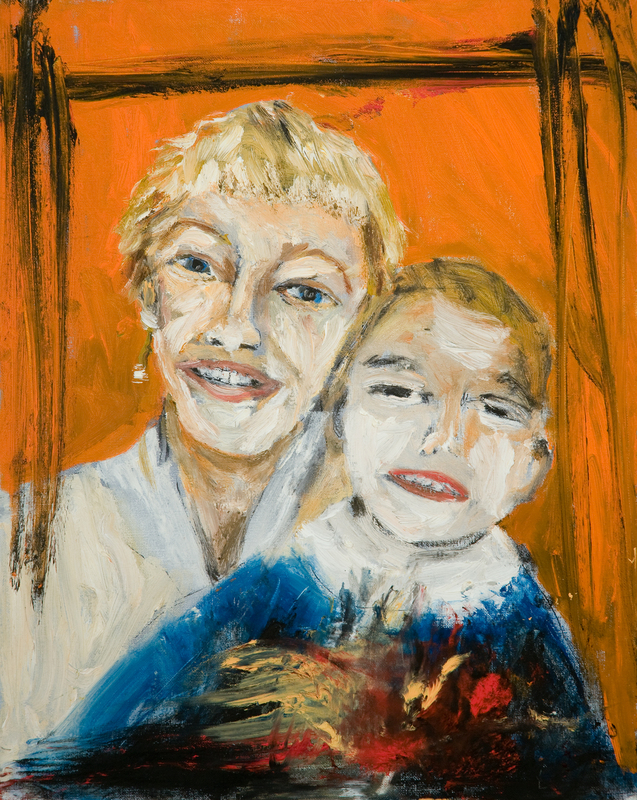 His paintings contain fragments of family and cultural memories that fuse with the broader discourse of the Holocaust. 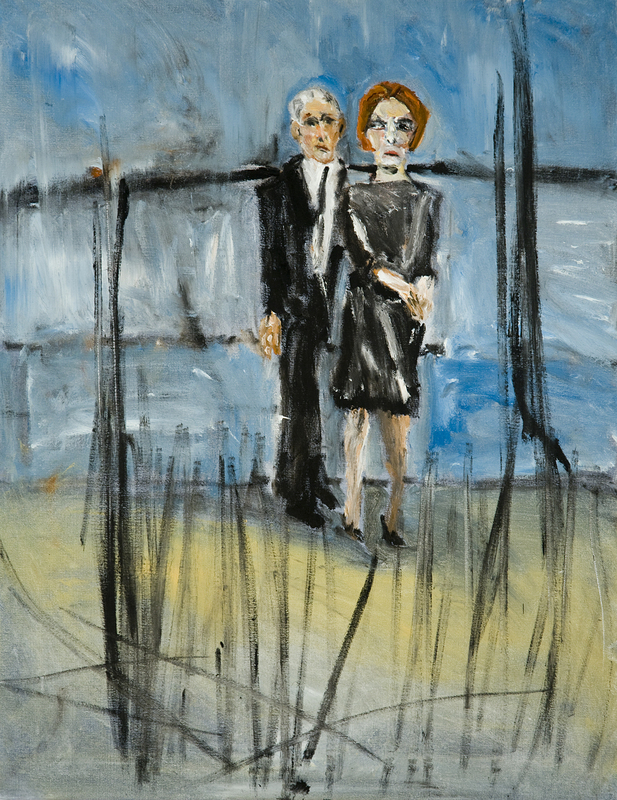 As Hafftka states in his video interview with Karen Zadra, as an artist once removed from the actual events of the Holocaust, he cannot document it because he was not there; but he has inherited an indelible impression of it from the trauma carried by his parents and other survivors. In his words, his art is “the emotional reality of the result of this extraordinarily brutal event”. Art has become his way of trying to understand this history, and to share that with others. 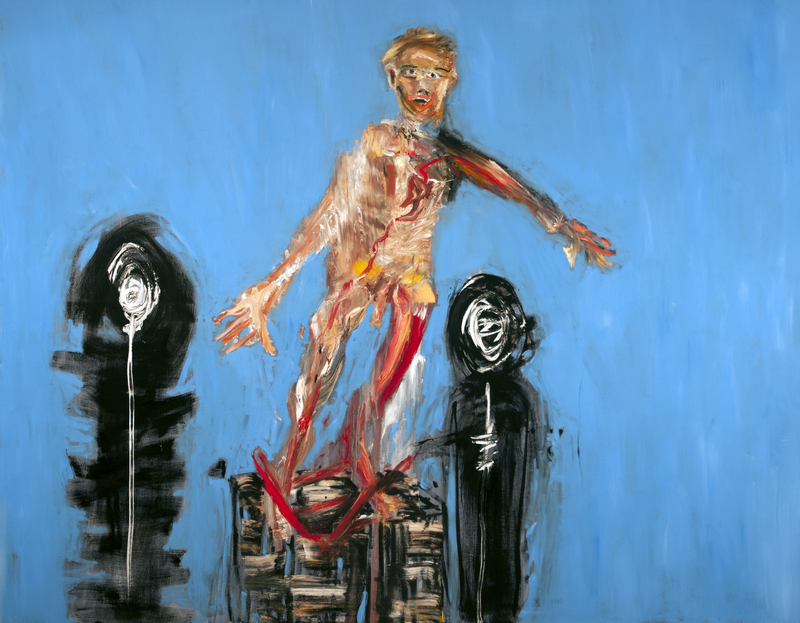 An especially confronting and moving painting is Eight Turns, 1980. Eight women of various ages are lined up, naked, covered in sores. Hafftka captures the indignity forced on women prisoners who were often stripped before they were executed; in their final moments, the Nazis forced them to reveal their inflicted disease-riddled decrepitude, a final humiliation. As viewers, we can acutely feel their degradation and shame. What is perhaps most chilling about many of Hafftka’s works depicting groups of people, is that none wears a uniform. The perpetrator/victim roles are usually identifiable, however the aggressors cannot be readily labelled “Nazi” due to the lack of uniforms or insignia. Hafftka previously explained to me that he believes society enables the abuse of power by leaders. It is the normalisation of discrimination and hate speech that allows corrupt leaders to victimise minorities. Nazi Germany would not have been possible without the support of the populace. By painting his figures in non-descript garments or naked, the viewer can be inserted into the scene as either perpetrator or victim. At any time, history may turn the tables so that we find ourselves in the position of the persecuted. As Neo-Nazism and alt-right groups gain ground in Europe, Australia and the US, and subtle messages of white supremacy begin to infiltrate mainstream politics and media, Michael Hafftka’s work has taken on a critical urgency. Crucially, his work is not exclusively about the persecution of Jews; it condemns any persecution of people labelled as "Other". It urges us to remember that unless we want another Holocaust, we must be alert to the euphemistic language of moral and racial superiority, the abuse of power by our elected and community leaders, and disregard for the rule of federal and international laws. It took only 10 months for Germany to move from the seemingly isolated events of Kristallnacht to the beginning of the Second World War and Hitler’s execution of the Final Solution, the Holocaust. As Michael Hafftka's work proves, even after nearly 80 years, scars still weep. Oil on linen, 46" x 37" / 117 x 94 cm. Collection of the Artist. Oil on linen, 16" x 12" / 40.5 x 30.5 cm. Private collection. Oil on canvas, 26" x 16" / 66 x 40.6 cm. Private Collection.